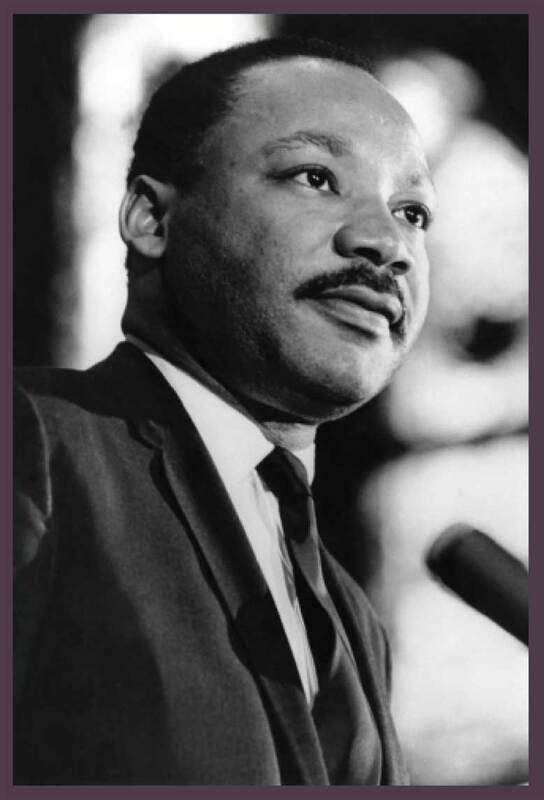 BAP OFFICIAL E-BLAST - PANERA BREAD 2015 MARTIN LUTHER KING JR. WRITING CONTEST! ALL ENTRIES MUST BE POSTMARKED OR EMAILED BY JAN. 2ND, 2015! 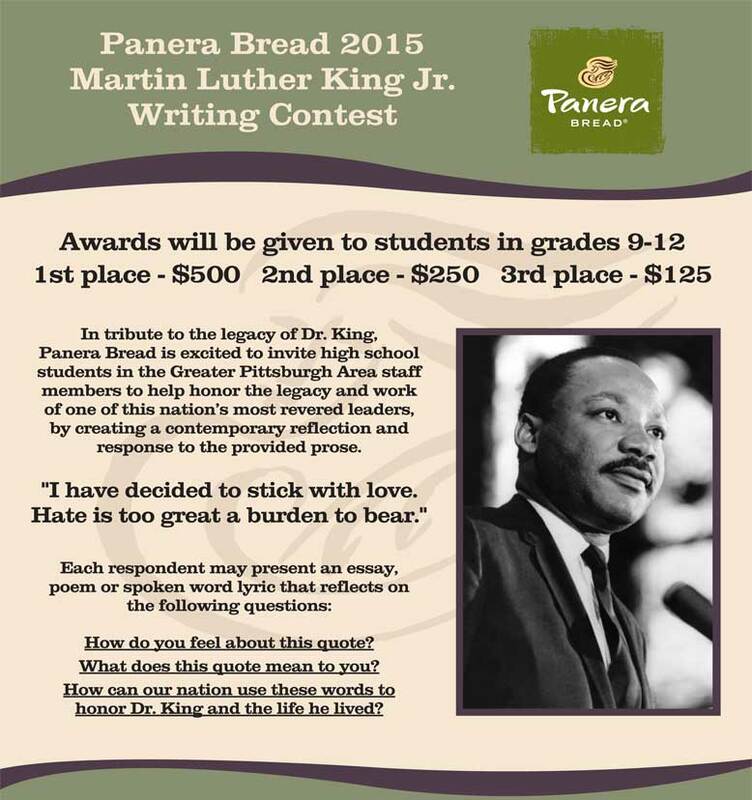 PANERA BREAD 2015 MARTIN LUTHER KING JR. WRITING CONTEST! ALL ENTRIES MUST BE POSTMARKED OR EMAILED BY JAN. 2ND, 2015! Essays and entry forms should be emailed to info@corpdiversity.com or mailed to CDA: 1725 Realty Avenue, Pittsburgh, PA 15216. All entries, including staff, must be postmarked or emailed by Friday, January 2, 2015. The top 10 finalists and their families on Saturday, January 17, 2015. For more information contact: CAPA, Milliones, Obama, Science & Technology Academy, Westinghouse, Allderdice, Brashear, Carrick, Perry, Northside Urban Pathways, Career Connections and City Charter.